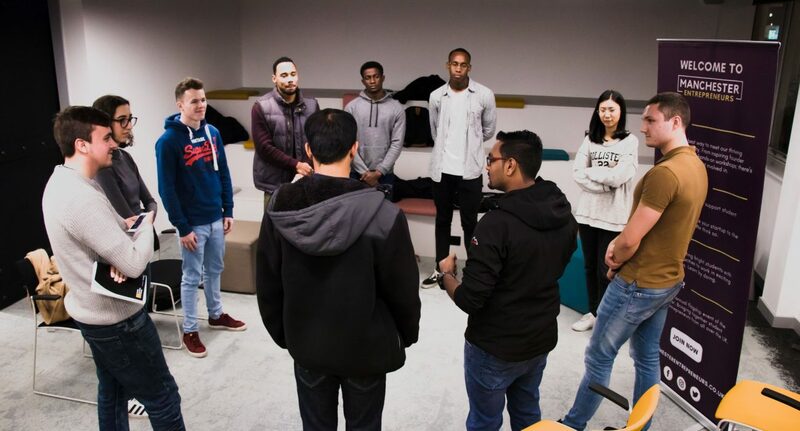 On Thursday 8th November, students from the University of Manchester rocked up to the Manchester Technology Centre ready for an evening targeted at improving individuals public speaking skills in business. The event was part of Manchester Entrepreneurs’ skills programme with the evening’s workshops and competition facilitated by the UoM Public Speaking Society. Rather than make you jealous of all the lucky people who made it to the event, I’ll give you a treat instead. Here come three top public speaking skills you can relate to any of your business needs. Firstly, know your stuff. Secondly, master your style. Finally, think of the audience. So how do these work in practice? When you’re using any form of public speaking in business, it is so essential to know your stuff. You need to know your product, business, or personal skills inside out. Not only will this allow you to walk into a pitch, interview, or meeting feeling personally prepared, but this confidence will also come across to those in front of you. As a result, your speech will appear naturally full of passion and based on knowledge rather than blagging! It is essential to develop your own style. Whether you opt for a professional or informal approach, own it! A good technique is to record yourself giving a speech and watch it back. Take note of your stance, body language, and use of the space. Alternatively, come along to the Public Speaking Society, where we carry out workshops to help you master your vocal and visual speaking style. My number one piece of advice is to remember you’re speaking to humans. This may seem like a bizarre statement rather than a top tip, but trust me, it can be a key to public speaking. When you remember you’re speaking to humans, you can tailor the information you give them, to ensure key unique selling points or sales statistics are covered. But this advice also benefits your style. When you’re feeling nervous, just remember you are speaking to humans, no more or less important than you or I. Yet another piece of great news is the fact that you can hear more tips of the trade and put these words into practice. Feel free to come along to the weekly UoM Public Speaking Society sessions every Tuesday 6pm at University Place 2.220 (information can be found on Facebook). You can also develop more business skills through Manchester Entrepreneurs‘ regular events – for up and coming events, keep an eye on their Facebook page.